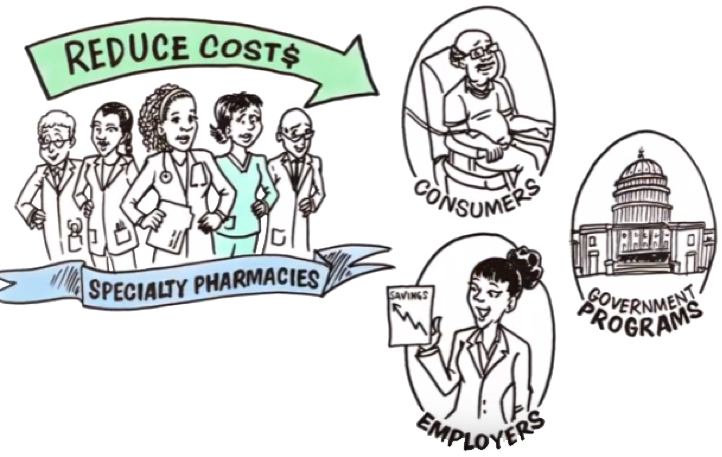 Lowering pharmacy costs for America’s employers and consumers. Protecting affordability and choice in Medicare Part D.
Lowering pharmacy costs for Medicare seniors. Improving safety with specialty pharmacies. Pharmacy Benefit Managers (PBMs) administer prescription drug plans for more than 266 million Americans who have health insurance from a variety of sponsors including: commercial health plans, self-insured employer plans, union plans, Medicare Part D plans, the Federal Employees Health Benefits Program (FEHBP), state government employee plans, managed Medicaid plans, and others. PBMs are projected to save employers, unions, government programs, and consumers $654 billion – up to 30 percent – on drug benefit costs over the next decade. Get the facts on how PBMs reduce prescription drug costs and improve quality for consumers, employers, unions, and government programs at drugbenefitsolutions.com.